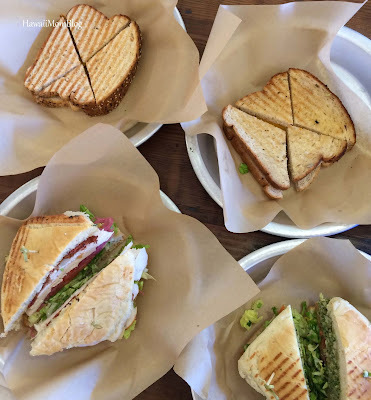 While driving through Haleiwa over the weekend, I noticed that Sprout Sandwich Shop had just opened up, so our family decided to give it a try. I ordered the Duke, which includes turkey, bacon, Maui butter lettuce, tomato, house pickled red onion, and house mayo - all on ciabatta. 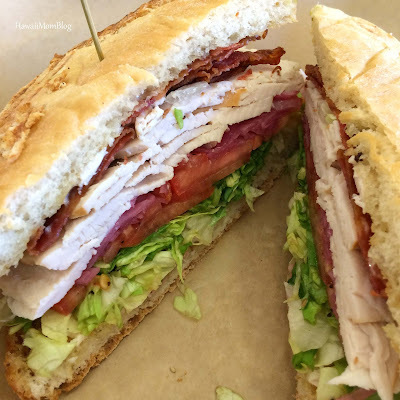 The sandwich was as delicious as it looked, and surprisingly, my favorite part of the sandwich was not the bacon, but the pickled red onion! It was so good - it gave the sandwich a really nice flavor! One of my sons ordered the No Comply. 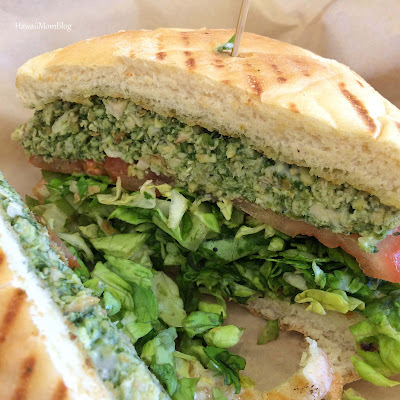 Pesto macadamia nut chicken salad with Maui butter lettuce, tomato, and a roasted garlic mayo on ciabatta made for a yummy sandwich (but I liked the Duke much better - it's those pickled onions!!). 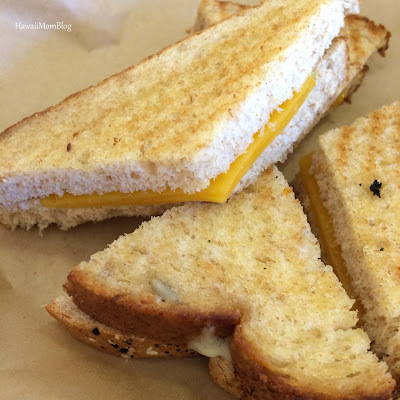 There are a few keiki options, and my two other sons ordered the grilled cheese. The regular sandwiches are huge! My son and I both shared a half of our sandwiches with my husband, and we were all left full and satisfied. Service was great, the prices were reasonable (under $35 to feed all 5 of us) and I'm looking forward to trying other sandwiches - especially those with pickled red onions!